So this week, I had the privilege of meeting and styling Mariana, owner of Kismis Ink Photography. She was so amazing! I styled her for her webcast of expert advice with Weddings Illustrated. Here's what I did! She likes her hair soft and wavy with a side bang and her eyes to really stand out. So I started out by curling her hair with a one inch curling iron. While her hair cooled I applied her makeup. We choose to airbrush her foundation for a flawless finish and contoured using bronzer and a highlighting powder. I then used pretty pinks and browns on her eyes. We really made them pop with some individual lashes and liquid liner. For Mariana's lips I used two long wear colors layered for a full lipped appearance. 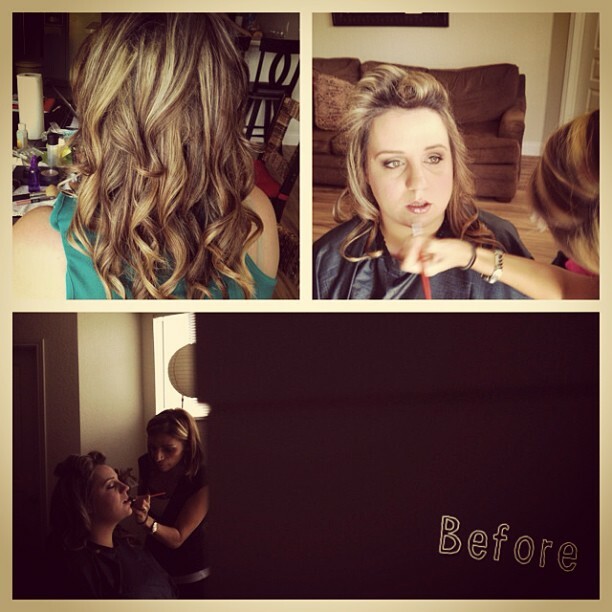 I had such a great time glamming her up!